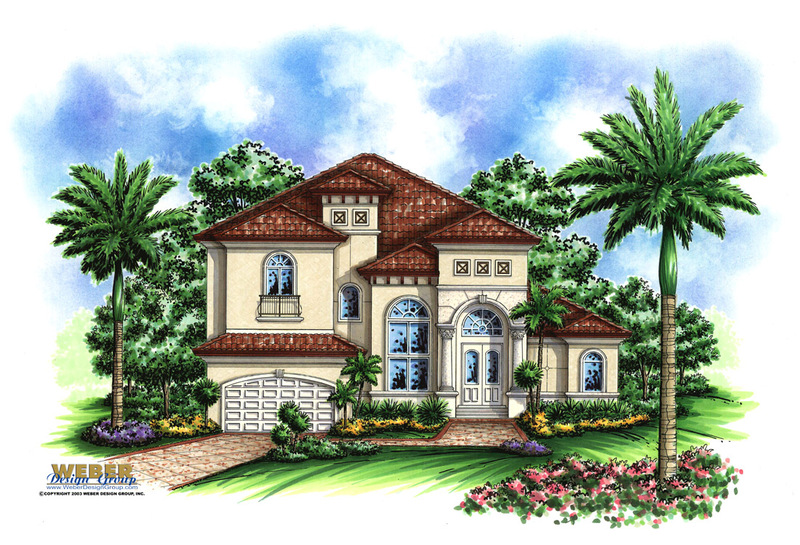 5 Popular House Plans - Weber Design Group; Naples, FL. This single story Caribbean-inspired home plan offers 3,527 square feet and includes three bedrooms, three full baths and one-half bath, a formal study and a three-car garage. The floor plan of the West Indies style home is an open design concept featuring combined great room, island kitchen and dining areas yet each is delineated by individual intricate ceiling designs. This quaint Olde Florida style “cracker” house plan is perfect for a coastal or Intracoastal lot. 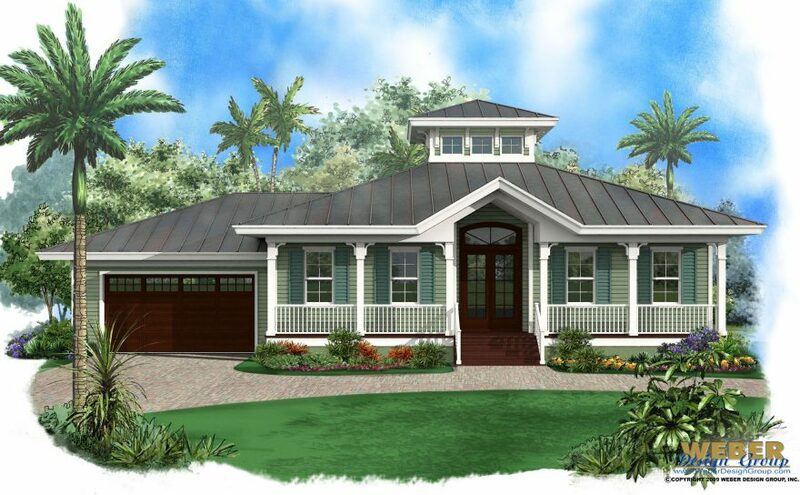 The Ambergris Cay is a 3-bedroom, 2-bath beach house plan designed with a casual lifestyle in mind. The covered front porch is perfect for drinking lemonade and watching the summer days go by. The two-story Aurora V House plan is a larger version of our Aurora home plan. 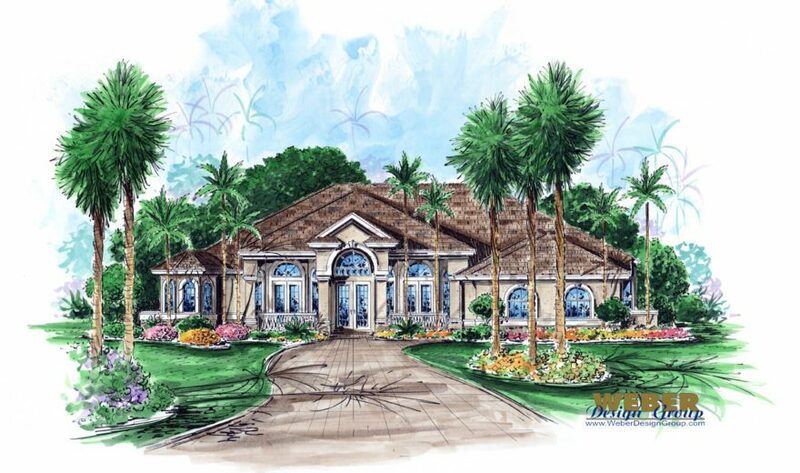 The Mediterranean design includes four bedrooms, three full baths, and a half bath. On the first level, the floor plan offers formal living and dining rooms as well as a large casual family room and dinette that are convenient to the kitchen. All the main living areas of this Tuscan design have ample windows and glass doors leading out to the spacious covered lanai that is ideal for entertaining with an outdoor kitchen. The Europa house plan is designed with rear-oriented views and indoor-outdoor living in mind. As soon as you enter the home, you are greeted with a direct view of the pool through a large set of sliding glass doors in the living room. The kitchen, family room, and dinette are all open spaces that enjoy a seamless transition to the covered lanai through zero-pocket glass doors and a radial window. Search our database of nearly 300 house plans now.